Home » News » Wacom is our new mascot contest sponsor! Wacom is our new mascot contest sponsor! Wacom is our new contest sponsor! 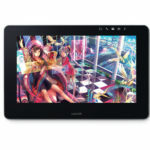 In addition to the prizes already listed, Wacom products will be awarded to the winners of our 2019 Sakura-Con Mascot Contest. The due date will also be extended to March 14th.